Yay! 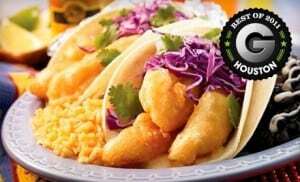 Today’s Groupon is for $10 for $20 Worth of Handmade Tamales and Tex-Mex Cuisine at Berryhill Baja Grill. We love this place… see our recent visit HERE. Go HERE to get the Groupon. Once you have it, try to combine it with other great deals. MONDAY is the new cheap taco day. And, at some locations, kids eat free on Tuesday! Call the local restaurant to check.